OHA is committed to addressing our state’s opioid crisis and behavioral health care system deficiencies to improve the health of Ohioans and the overall quality of life in Ohio. Our Behavioral Health Work Group assists hospitals implementing new policies, including Ohio Medicaid’s system redesign, and promotes the recovery model of care for patients with mental illness. Our state’s opioid crisis is multi-faceted, and Ohio’s fragmented system is not structured to address it. OHA advocates to align stakeholders (providers, payers, law enforcement and others) to achieve excellence in Ohio’s behavioral health system to address the opioid crisis. 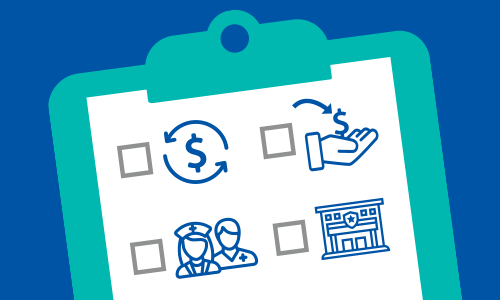 By aligning appropriate financial incentives to assure access, stakeholders can work together to improve outcomes and reduce overall system costs. OHA engages clinical and financial professionals at member hospitals to work with the Ohio Department of Medicaid on the implementation of the state’s behavioral health system redesign and conversion to managed care. OHA’s Health Economics & Policy team has led member education and feedback sessions between members, policymakers and payers as Ohio’s Medicaid managed care plans in 2018 implemented a new behavioral health benefit package and coding structure for reimbursement.